Everyone on Earth has suffered Trauma of one kind or another – it goes with the territory, literally – the ‘terre’ or the ‘terra’ that is Planet Earth – as we forge the paths of our lives in this beautiful dimension where so much fear has soaked her long-suffering body, and ours! Emotional intelligence grows and deepens, though, as the root causes of our individual wounds and trauma are understood and the effects are dissolved through the frequency healing brought about by the grace of Divine Light. If you suffer constant tiredness, or wonder why certain painful emotions keep on re-surfacing and cycles repeat, there is almost surely some level of unresolved trauma that lurks within your unconscious realms, but the potent mix of understanding, emotional clearance and deep-acting energy frequencies that Metatron offers will radically shift your energy settings and restore your vitality and health. 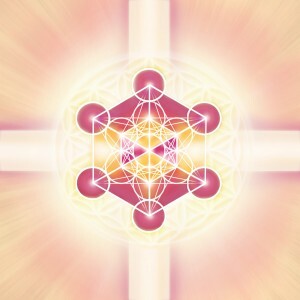 “So much has continued to happen for me on so many levels and I have been meaning to share with you the extraordinary outcome of the work you and Metatron did with me through the Deep Change personal sessions. The 8th anniversary of my daughter’s death occurred on August 29th and this time of year always has brought forth the vivid details of that time in our lives including the remembering of each moment leading up to finding out that she had died and taking us through each excruciating moment following. Reliving the process never felt like an option and I would face the horror each and every year at this time. But I have felt profoundly changed since our sessions (as well as the additional transmissions in the Emotional Rebirthing Seminar). I know you don’t remember the sessions as you had mentioned before (how could you with so many people!) but Metatron created a beautiful golden pyramid for me to come and find peace and be with Sam. It is a place for me to return at any time. “I can see how I have allowed myself in this lifetime to be undermined by different people in different aspects of my life, including work and personal relationships. I am curious to get to the root of this repeating pattern. I am currently recovering from a very undermining and ultimately traumatic relationship with the father of my daughter, whom I met at a time when I was feeling very vulnerable and insecure in a high pressured job as a creative director in the fashion industry. I am finding the more I allow the transmissions from Metatron to move through my being and the less I begin to analyse the more complete the healing and insights. Thank you so much for the deeply inspiring work that you do. I have been profoundly touched and transformed by Metatronic Healing and your loving and insightful presence.” With Love and Light, Joanna T, London UK.